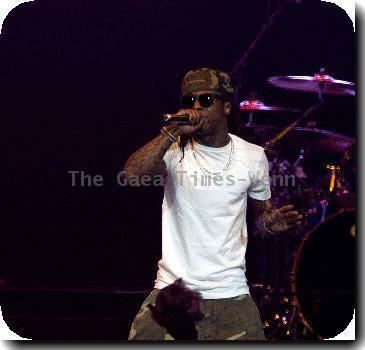 LOS ANGELES (GaeaTimes.com)- The newly released song, “Green And Yellow” by Lil Wayne, is creating a wave in Youtube. It has apparently established the fact that the New Orleans based rapper is a fan of the Packers. Although the lyrics have ample of adult content, it has proved to be a groovy and peppy number, which is just perfect enough to set the mood of all the Packers fan to cheer for the team against the Steelers in the Super Bowl. Lil Wayne’s “Green And Yellow”, that has been released on Youtube, is an adaptation of Wiz Khalifa’s last year hit, “Black And Yellow” that became the unofficial anthem for the Steelers. Where “Black and Yellow” still reigns to be the only song being hummed by the Steelers’ fans, the newly released “Green And Yellow” is the perfect counteract for the Packer’s fans this year. The Youtube page, that features this song with its video, are pouring with several good comments from the Packers fans. One of them said “Thumbs Up”. Another person said that Lil Wayne’s version has a better flow than that of Wiz Khalifa’s. Another fan said that Lil Wayne is the best rapper alive. All of them who support the Packers are now all more delighted to have Lil Wayne in their camp. On the other hand, the fans of the Steelers are quite against this new adopted version, after they heard “Green And Yellow” on Youtube. One of then said that Lil Wayne is not a cheese head, but a “cracker head”. Another Steelers fan said that is not a freestyle, as the rapper claims the number to be. In an interview the rapper has already confessed that although he hails from New Orleans he is a huge Packers’ fan. Lupe Fiasco Releases "Words I Never Said"